Reliance Industries Chairman Mukesh Ambani on Thursday announced an additional investment of Rs 10,000 crore in West Bengal. The firm, he said, has already made investments of Rs 28,000 crore in the state, which is 10 per cent of the company’s total investments across India. Addressing the Bengal Global Business Summit, which saw investments in excess of Rs 39,050 crore by various companies on the first day, he said this year India is all set to become the world’s fifth largest economy, overtaking the UK. 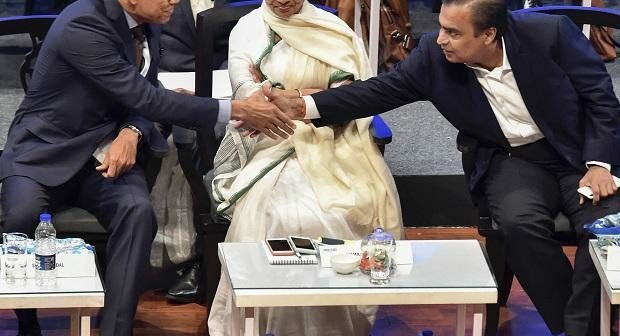 Ambani committed to further increase his investments in West Bengal — on the Jio brand, the retail venture and an upcoming e-commerce platform. 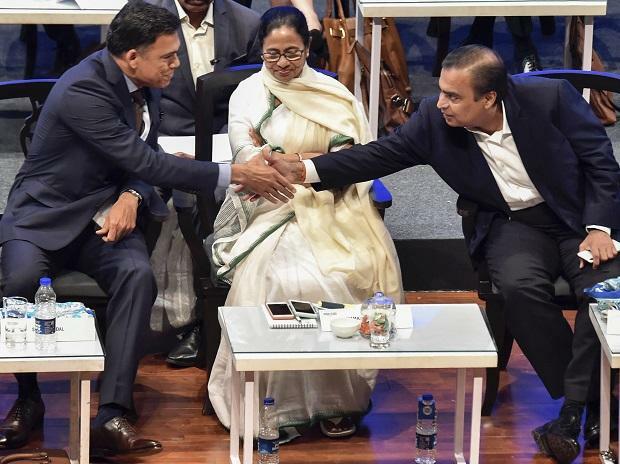 Last year, he committed to invest Rs 5,000 crore in the state over three years, which included expanding the Jio network and laying of a gigafiber project of connecting Bengal with optic fibre — both of which are underway. On the other hand, ITC said it will pump in Rs 1,700 crore to set up a new personal care products plant and upgrade its current facilities in the state. Karan Adani, CEO of Adani Ports and Special Economic Zone, said the company plans to set up a world class port and logistics park. DP World is also investing in Kulpi Port. The total investment is to the tune of Rs 3,000 crore, and DP World’s equity is around 74 per cent. Though Mittal didn’t commit any specific investment in the state, he said that West Bengal was under his radar for future investments.